A Malaysiakini project that highlights the problem of malapportionment in the electoral system has been shortlisted for the annual Global Editors Network (GEN) Data Journalism Awards. 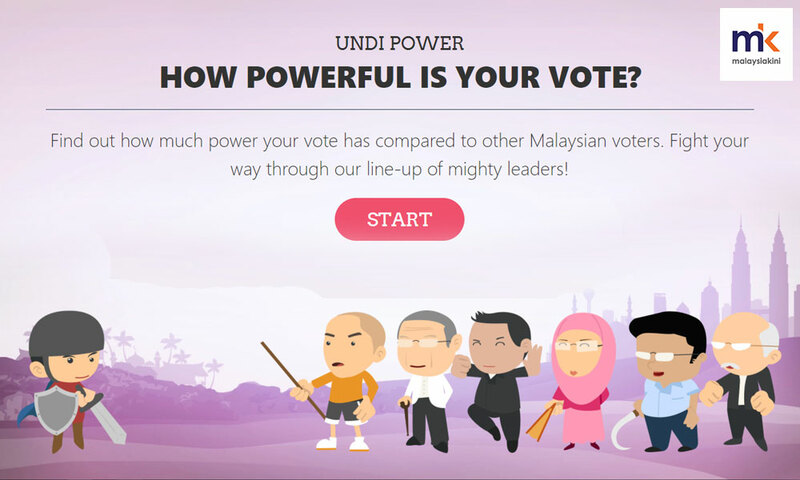 The Undi Power game allows users to find out how ‘powerful’ their vote is compared to voters of other constituencies, based on the electoral roll of the first quarter of 2016. The project demonstrates how some constituencies are over- or underrepresented, thereby violating the ‘one person, one vote’ principle that helps ensures equality in a democracy. Undi Power is not the only election-themed entry for the category, with FiveThirtyEight’s The Gerrymandering Project highlighting the problem of redistricting in the US. Electoral watchdog groups like Bersih have long argued that both gerrymandering and malapportionment render Malaysia’s electoral system unjust. This was recently exacerbated by the gazetting into law of the Election Commission’s controversial constituency redelineation report. The Undi Power project is also shortlisted with 10 other entrants for the Public Choice Award, where members of the public can vote for their favourite projects. Meanwhile, a separate entry from Malaysiakini is shortlisted with six others for the Investigation of the Year Award. 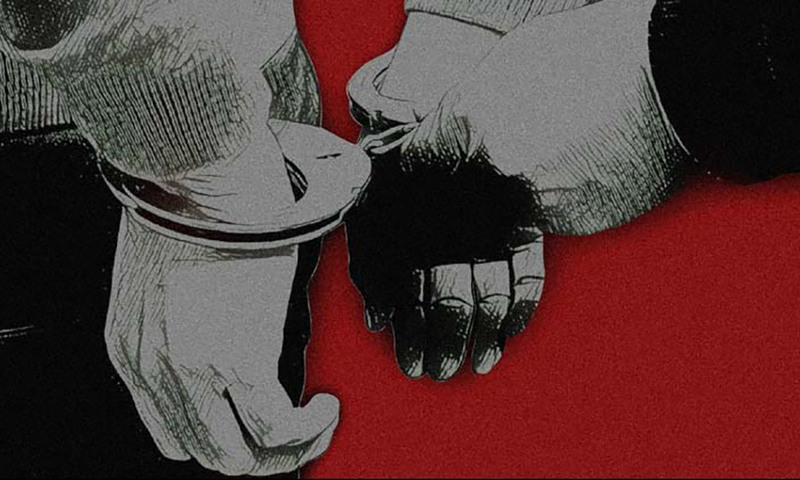 The Death in Custody project scrutinises the data on deaths in police custody, and reveals that deaths involving Malay victims tend to be underreported in the media. The project also uses interactive storytelling to teach readers about their rights when in police custody, based on the true stories of custodial death victims Azlan Syed Mohamed Nur and S Balamurugan. 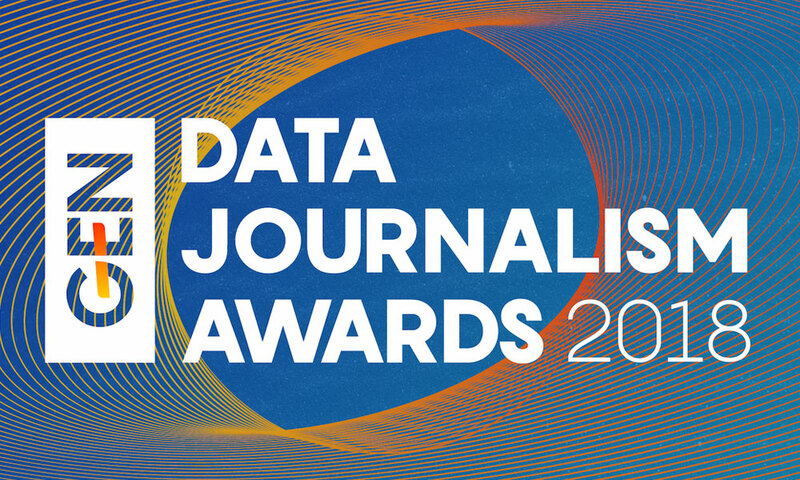 Malaysiakini will be competing with Canada’s The Globe and Mail, as well as The Guardian US and FiveThirtyEight from the US to be named as the “best data-driven investigation,” in terms of using data collection and analysis to provide insight into a topic of public interest. Also in the running for the Investigation of the Year Award is the Paradise Papers project by the International Consortium of Investigative Journalists, in which Malaysiakini is one of many project partners. As part of the Paradise Papers investigation, Malaysiakini found that businessperson Low Taek Jho, or Jho Low, had sought legal advice on seeking safe haven in the Cayman Islands and the British Virgin Islands (BVI) following the outbreak of the 1MDB scandal. In total, GEN received 630 entries from 58 countries for this year’s awards, the largest number since its inception in 2012. Of these, only 99 entries made it to the shortlist. The winners will be announced in a ceremony at the GEN Summit in Lisbon, Portugal on May 31. The winner of each category will bring home a trophy and US$1,801 (RM7,988) in cash, commemorating the alleged creation of the first pie chart by William Playfair in the year 1801. Finalists will be chosen by a jury panel of 18 industry players from news organisations around the world.